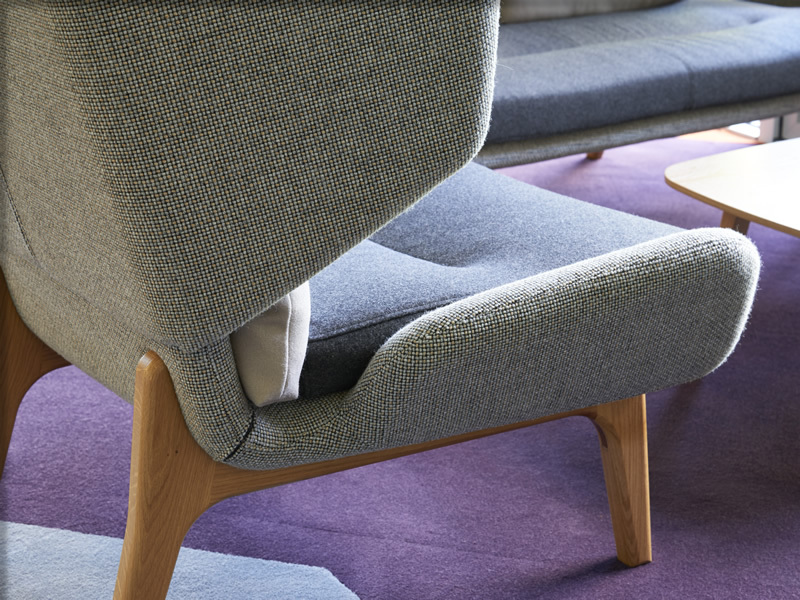 Working alongside project partners, Form Design Consultants, the Royal London office facilities were transformed by a fresh brand palette with some strong accent colours and durable, quality materials. 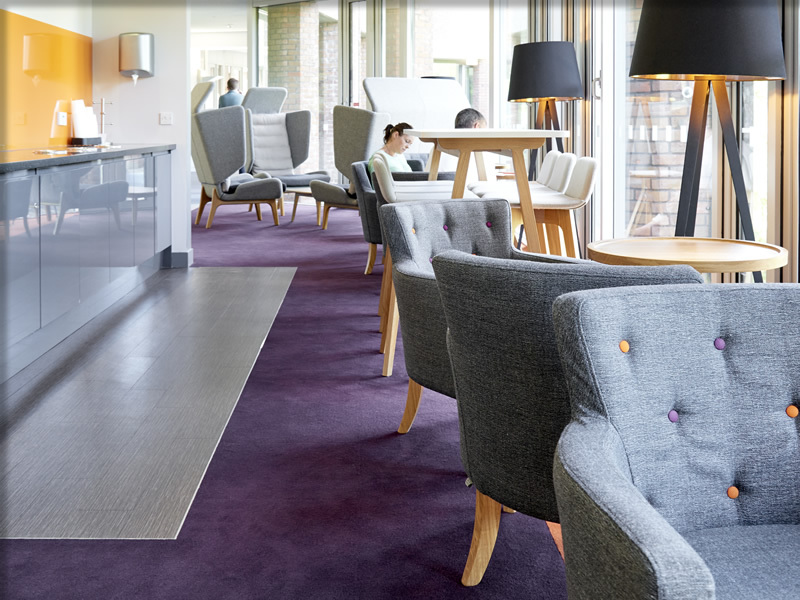 One of the challenges of the job was ensuring that the fit-out did not interrupt Royal London’s working schedule: a programme of decanting spaces as required was arranged to suit the company’s timetable. 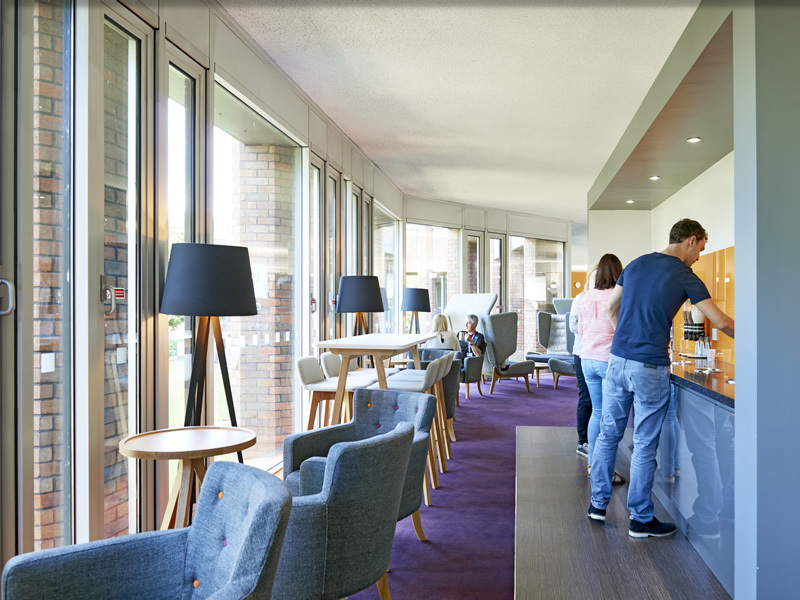 Working with Form Design Consultants, Scotwood transformed Royal London’s office facilities by creating funky refreshment points and comfortable breakout spaces on each floor of the company’s three-floor accommodation. The job was managed in 8 weeks. 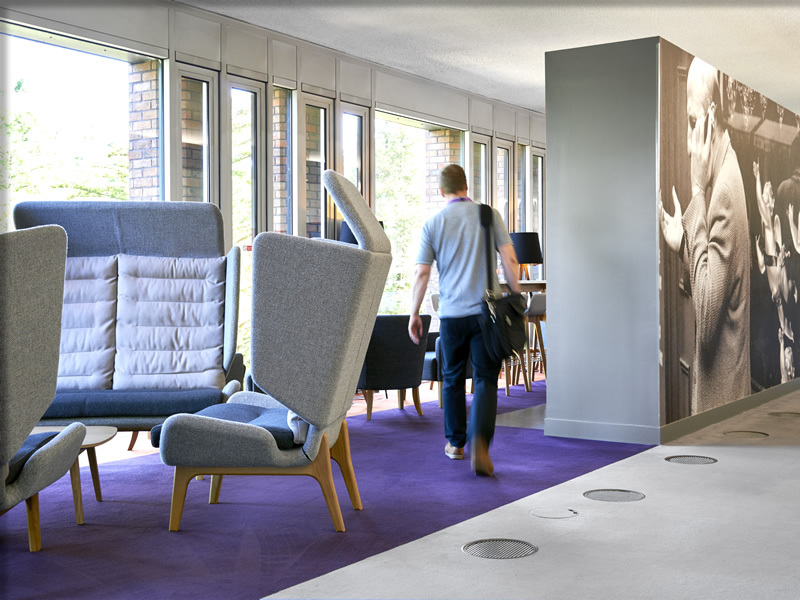 One of the challenges was to ensure that the work of Scotwood Interior’s fit-out team did not interrupt the work of Royal London, the UK’s largest mutual life and pensions company. 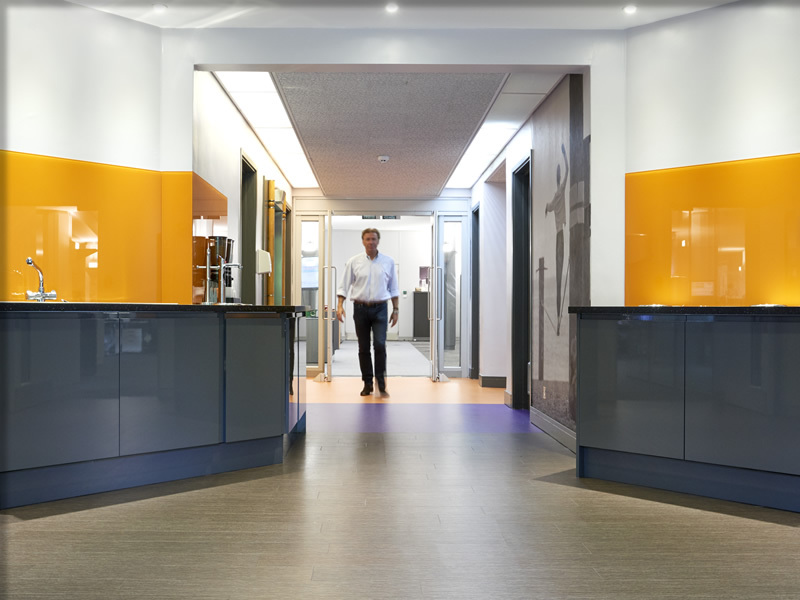 A programme of decanting spaces as required was arranged, ensuring the fit-out minimised disruption whilst staying on schedule. 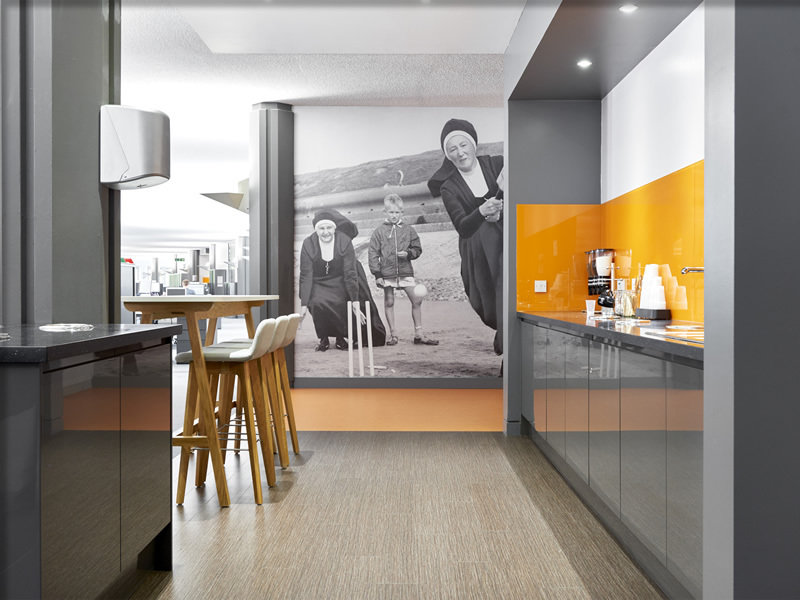 Ceilings, floorings and partitions within the distinctive corporate palette plus liberal use of large-format graphic imagery, created bright dynamic working areas. 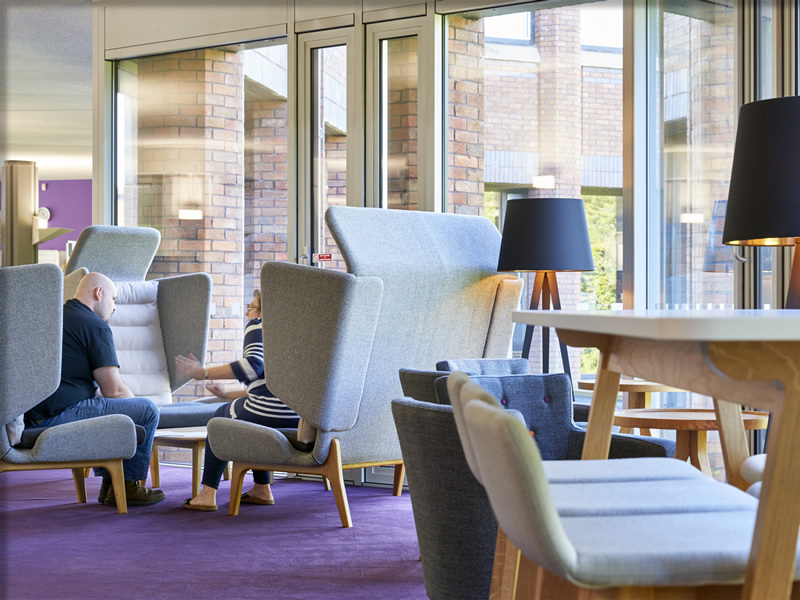 The result is contemporary comfort and style while delivering functional, efficient and easy to maintain working spaces. 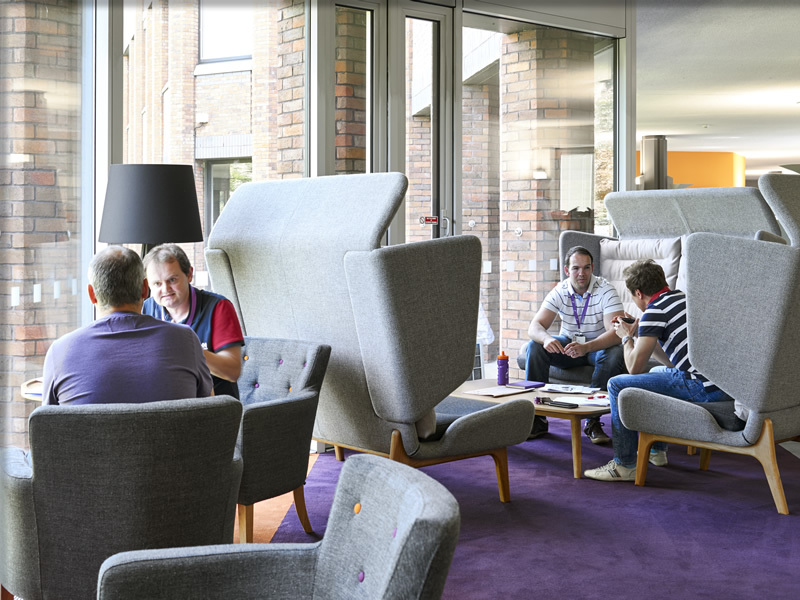 The new, completed breakout areas have proved popular with staff, creating informal working spaces and easing bookings pressure on the main meeting rooms. 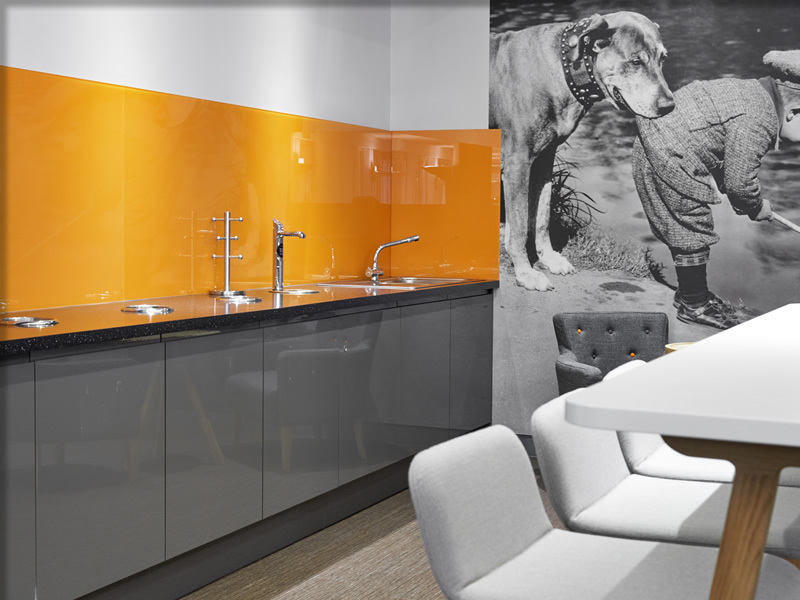 The project delivered contemporary tea points and breakout areas at the Royal London's Wilmslow office in Manchester.